Here at The Museum of Cornish Life we believe that learning should be a life-long process – you’re never too old! We offer guided workshops for schools, from Foundation stage up to Year 12. We also have a range of handling boxes which can be hired for £10 per week. All workshops are presented by experienced facilitators. Whilst our own risk assessment is available on the website, we strongly recommend that staff read this and then produce their own assessment. Visits to the Museum are free and we welcome pre-workshop visits by members of school staff. The sessions are open to a maximum of 1 class or a maximum of 30 children per workshop. There should be a minimum ratio of 1 adult to 10 children. Sessions cost £3 per child. Teacher led visits to the Museum are free, but please check in advance that we have no other events planned on the day you would like to visit. The nearest drop-off point for coaches is outside the Museum. Coach parking is available at the Fairground Car Park next to Flora Motors . Mini bus parking is available there and may be available in the Angel Centre Car Park behind Coinagehall Street. Helston Museum is fully accessible to wheelchair users, including toilets. However, please bear in mind that the museum has a slightly sloping and uneven floor. The teacher/group leader for all workshop participants at all times: this includes ensuring appropriate behaviour in a building that is open to the public. Photography is allowed everywhere in this museum and pupils are welcome to sketch and take notes using pencils or other dry media. Please be aware that during the winter months the museum gets extremely cold whilst during the Summer the upstairs area can be very warm. All booking requests should be made via the on-line form. Whilst we will endeavour to meet all requests, please wait confirmation before arranging transport etc. All our workshops are run by volunteers who may not be available on your first choice date. 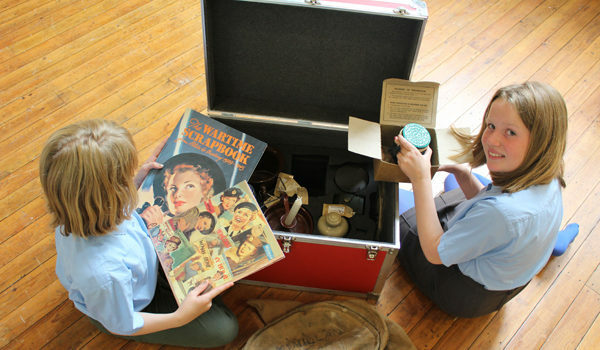 We also offer reminiscence sessions and talks by museum staff & our collections can be made available for research.. Contact us via phone: 01326 564027 or email: schools@museumofcornishlife.co.uk for more details. As an Arts Award Supporter we can help you gain your Arts Award at all levels from Discover and Explore, through to Bronze, Silver and Gold. Schools and Group leaders – contact us to see how we can work together to enable your students to gain their award. We can work with you to create a bespoke project to fulfil Ars Award at all levels. Individuals – If you your school or group are not offering Arts Award but you would like to take part contact us. Our staff are trained to deliver Arts Award at all levels and Museum of Cornish Life is an Arts Award Centre.